IMCDb.org: 1996 Chevrolet Express [GMT600] in "Das Ende einer Maus ist der Anfang einer Katze, 2011"
Was this officially sold in the European market? It has been mentioned here on the website. 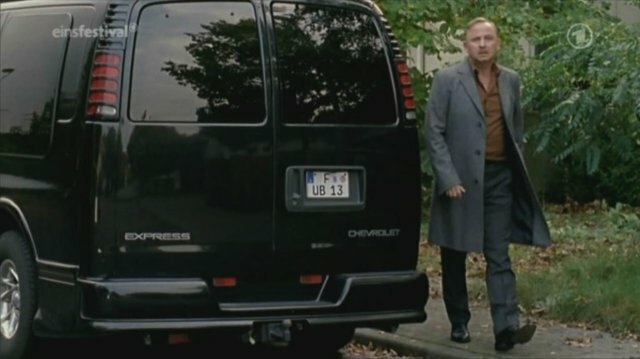 It seems to be filmed around Frankfurt/Main. Around there are many US military bases, so a lot ot US-spec cars are running there. Many of them were sold by local used car dealers. If you do the required conversions -mainly of the lighting system- and pay some import-tax, you can registrate it officially in Germany.